Zynga Inc's decision to bring in the head of Microsoft Corp's Xbox business to replace founder Mark Pincus is a bold stroke that was hailed on Wall Street, but it still leaves questions as to who is ultimately in charge at the troubled game-maker. 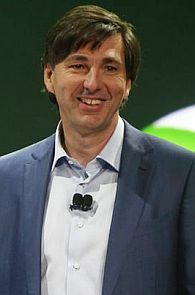 Don Mattrick was personally recruited by Pincus. But Pincus holds on to 61 per cent of the voting rights due to a two-tiered stock structure and will remain Zynga's chairman and its chief product officer. Mattrick, who is credited with building Microsoft's Xbox business into a gaming powerhouse, hesitated before agreeing to take the job, people with knowledge of the events said. His doubts finally faded during a gruelling bike ride through the Santa Cruz mountains one recent weekend, when Pincus opened up to Mattrick about how he had come to terms emotionally with relinquishing the reins at the company he founded in 2007. While Wall Street cheered Mattrick's appointment, sending Zynga's shares up more than 10 per cent and another 3 per cent after hours, some analysts questioned whether the shake-up would change Zynga's performance in a significant way. "Bringing in someone who has worked at a larger company to assist in management duties I think is a relief right now," said Richard Greenfield, an analyst at BTIG Research. "But Pincus is still the chief product officer. So the question is, what's actually changed day to day in terms of making hit games?" Mattrick will hold the final say in day-to-day matters, including green-lighting new games, people familiar with the situation said. Zynga's business model, which relied heavily on selling virtual goods to gamers on Facebook Inc's platform, began to disintegrate in mid-2012 as users tired of Facebook games and shifted to playing on mobile devices. Pincus, who has long wanted to turn the firm he named after his pet bulldog into a large Internet company, privately acknowledged in recent months that he has lacked the ability to manage such a company, said a person familiar with his thinking. This spring, Bing Gordon, the Kleiner Perkins Caufield and Byers investor and an active member of its board, floated the idea of recruiting Mattrick, whom Gordon had known from their years together at game publisher Electronic Arts. Pincus quickly agreed to help woo Mattrick, and the two had a series of meetings in California and Seattle. In a statement issued Monday, Mattrick emphasized Pincus's role as a visionary and described their working relationship as that of partners. "I joined Zynga because I believe that Mark's pioneering vision and mission to connect the world through games is just getting started," Mattrick said. Pincus praised his successor without reservation. recruit and bring that person in," Pincus said in a statement. "I'm confident that Don is that leader." News of Mattrick's appointment, reported first by AllThingsD, sent Zynga shares up more than 11 per cent earlier in the day. The shares rose a further 3 per cent to $3.17 when Zynga confirmed the appointment after the bell. Over the past year, the company's value has fallen to just 25 per cent of its $10 initial offering price in December 2011 as Pincus struggled keep his company out of free-fall despite multiple waves of layoffs. Mattrick's new role leading a game maker that publishes social media-based titles and smartphone games will be a marked departure from the world of big-budget, packaged console games where he spent most of his career. Mattrick headed successful franchises like "FIFA" in his 15 years at EA, where he first worked under Gordon before later supervising Gordon. He joined Microsoft in 2007. Once there, Mattrick helped turn the Xbox business into a profitable venture after years of losses, eventually propelling it into the No.1 selling console in the United States. Mattrick's departure comes just as Microsoft gears up to launch the third version of its console, called the Xbox One. Unveiled in May and scheduled to hit stores later this year, the machine has already stirred controversy. Gamers attacked the high price, Microsoft's plan to require an Internet connection at least once a day and attempts to limit the sharing of used games. Last month, Microsoft reversed its position on the Internet connection and said it would allow game sharing. Mattrick was known to be very hard on his employees but still well-liked within the gaming division at Microsoft, said one former Xbox employee. Still, his power did not extend much beyond his own unit in a company that is still essentially driven by its two main businesses, Windows and Office, and that may have contributed to his desire to leave, observers said. "He had a good sense of humour, a pretty compelling vision of gaming, and a hard-nosed business sense," said one former Xbox employee, who asked not to be named. Mattrick had been rumored to be considering leaving for months. After EA's CEO stepped down in March, industry sources speculated he was in the running to lead the top games publisher, where he previously held numerous leadership roles. Mattrick's departure takes place against the backdrop of a broader re-shaping of Microsoft. Ballmer is expected to announce a broad restructuring in the next few weeks that moves the company closer to his previously stated vision of becoming a devices and services company - much like Apple - rather than primarily a software company.